Swedish poet and translator; born at Karlskrona Feb. 24, 1821; died at Copenhagen Nov. 8, 1878. At the age of five she went with her parents to Hamburg, where she remained until her father's death in 1861. She then moved to Berlin with her mother, and after the latter's death in the summer of 1878, she settled at Copenhagen. She devoted herself chiefly to Swedish literature and Norse mythology, translating into German the northern folk-songs in the original meters. 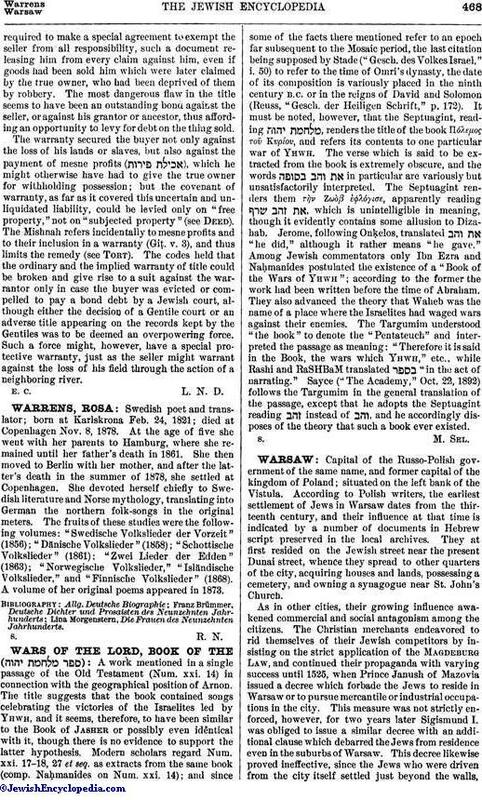 The fruits of these studies were the following volumes: "Swedische Volkslieder der Vorzeit" (1856); "Dänische Volkslieder" (1858); "Schottische Volkslieder" (1861); "Zwei Lieder der Edden" (1863); "Norwegische Volkslieder," "Isländische Volkslieder," and "Finnische Volkslieder" (1868). A volume of her original poems appeared in 1873. Lina Morgenstern, Die Frauen des Neunzehnten Jahrhunderts.